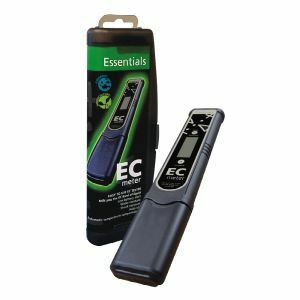 The Essentials EC meter gives direct accurate readings of nutrient solution and is very helpful in mixing nutrient concentrate with water. All readings are automatically temperature compensated. Easy to use, just dip the sensor into test solution, stir and wait. The unit will deliver a stable reading in about 20 seconds.